Esteban de Luna, Baby Rescuer! 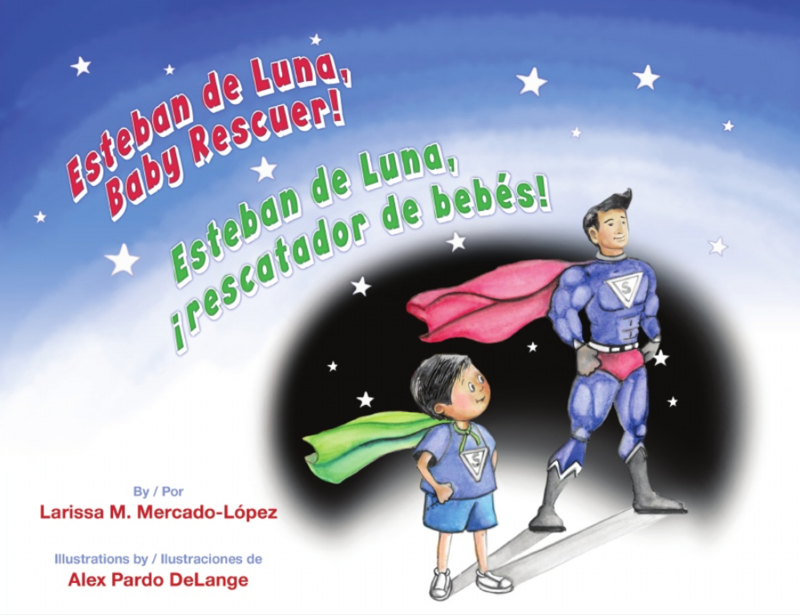 Esteban de Luna, Baby Rescuer!/Esteban de Luna, ¡rescatador de bebés! is a delightful, bilingual children's book by Larissa Mercado-López with vibrant illustrations by Alex Prado DeLange. Esteban, an adventurous young boy, wears his green cape at all times. He wears it to the park, when he goes to the doctor and even at the super market. He soon realizes that his cape does not make him fly or give him any super powers and tries to get rid of it. In a moment of peril, Esteban realizes his green cape can be used for good, even without any special super powers. He decides to use his cape as a tool of warmth and affection and thus becomes a super hero. Esteban de Luna, Baby Rescuer! teaches our children that we all can be heroes in our own way. It teaches them that being a hero is not about fighting with anyone, it's about showing kindness and taking care of those around us. Larissa M. Mercado-López is a professor of Women's Studies at California State University, Fresno. This is her first children's book. Alex Prado DeLange is a a graduate in Fine Arts from the University of Miami. She has illustrated numerous books including the Pepita series. Esteban de Luna, Baby Rescuer is a publication by Arte Público. Click here to purchase. LATINO BOOK REVIEW | © COPYRIGHT 2018.